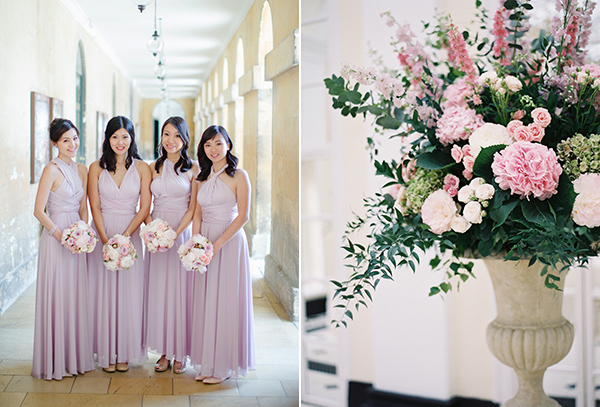 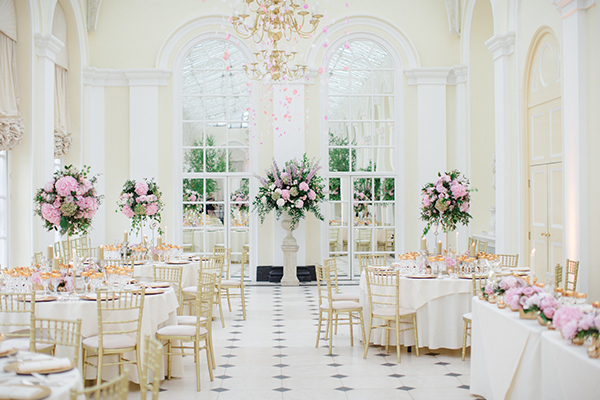 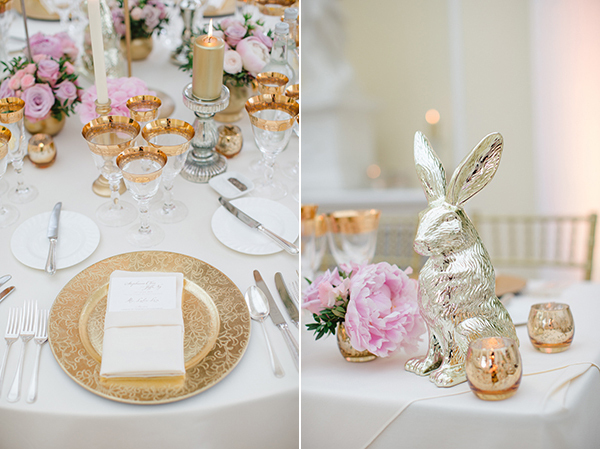 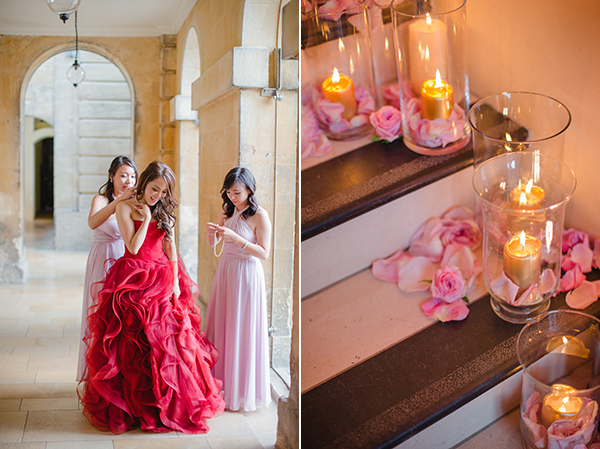 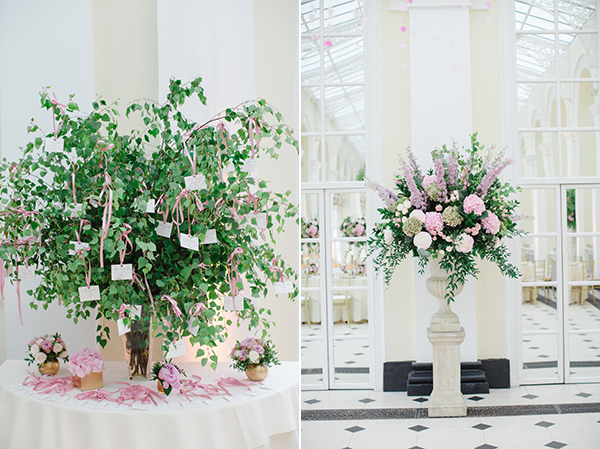 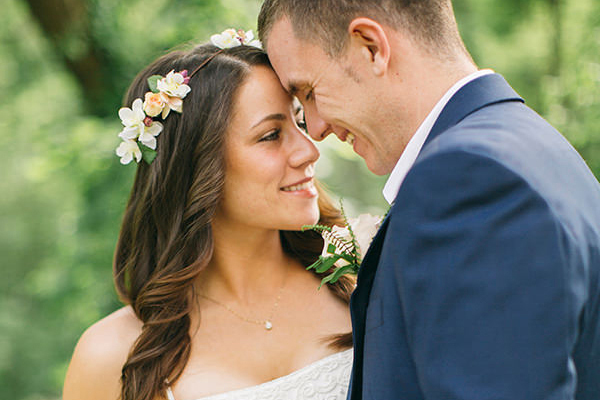 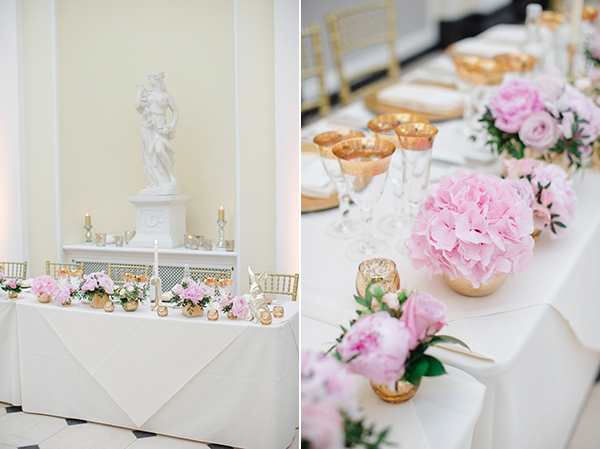 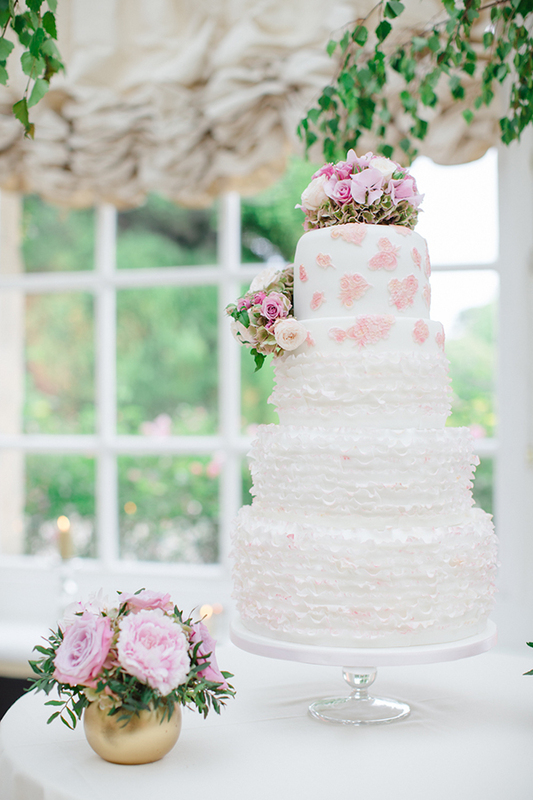 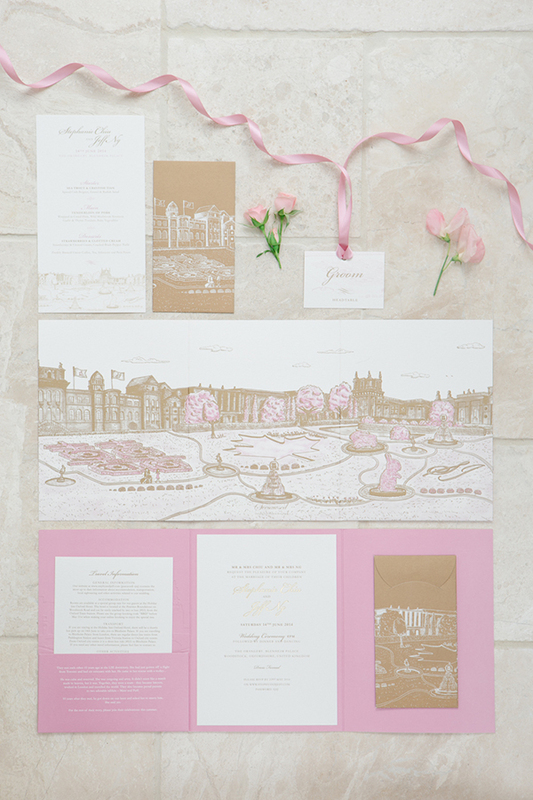 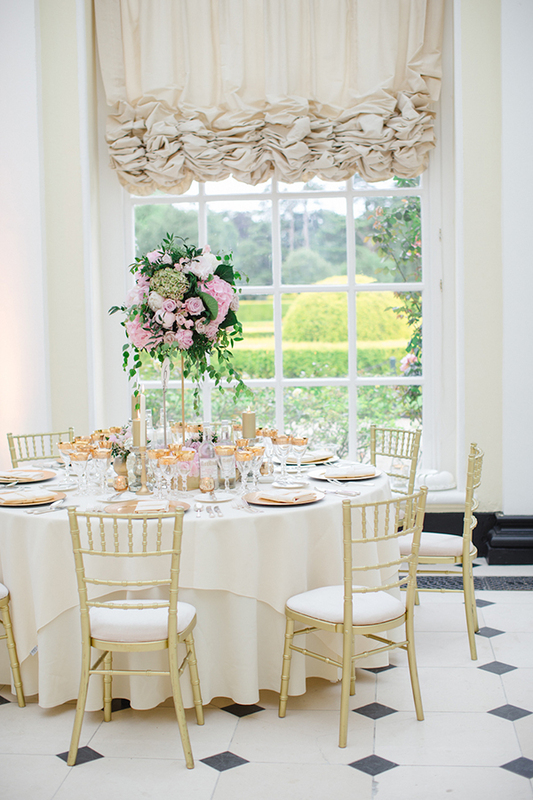 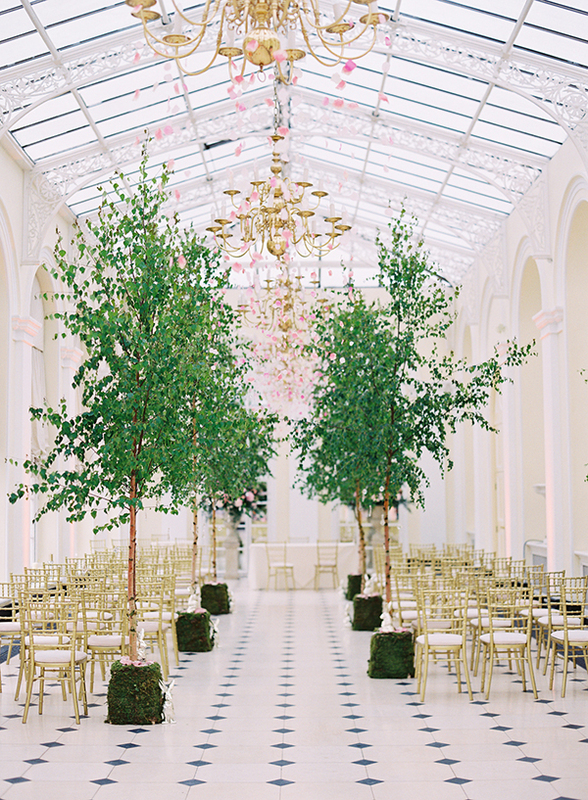 This elegant pink and gold wedding in the UK is filled with all the right elements that has captivated us from the very first moment we laid our eyes on the stunning images talented photographer Catherine Mead shared with us! 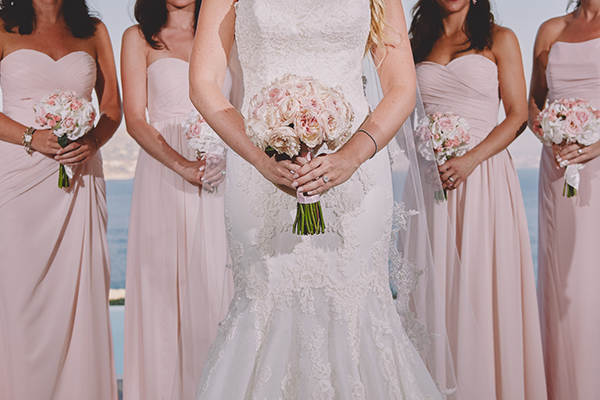 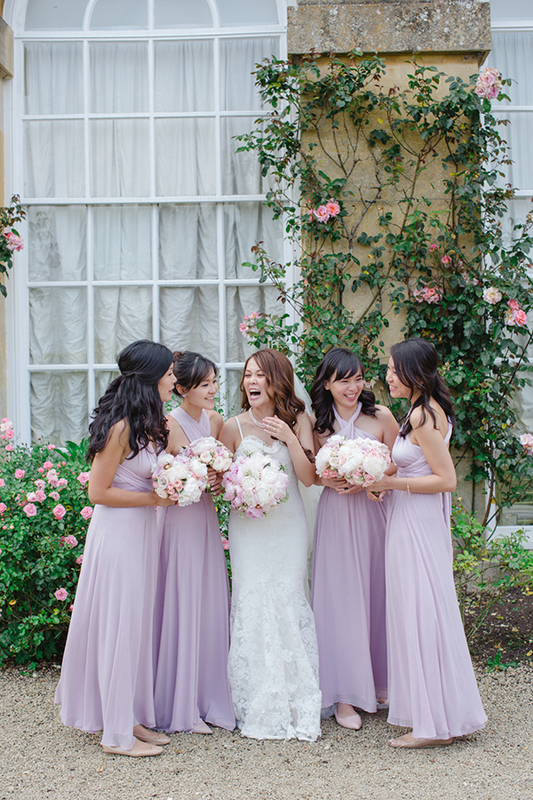 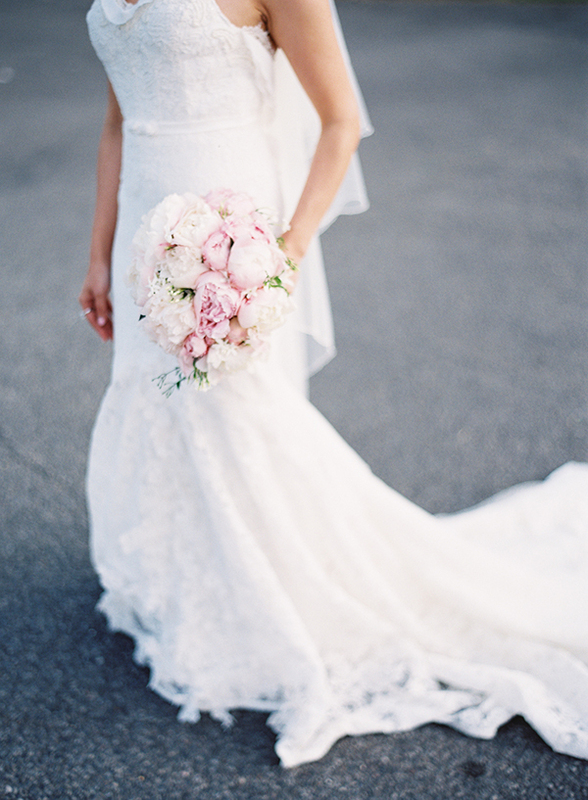 We are completely loving the elegant color palette with pale pink and gold and we are truly blown away with all the beautiful pink roses and hydrangeas in the floral arrangements and the peony bridal bouquet! 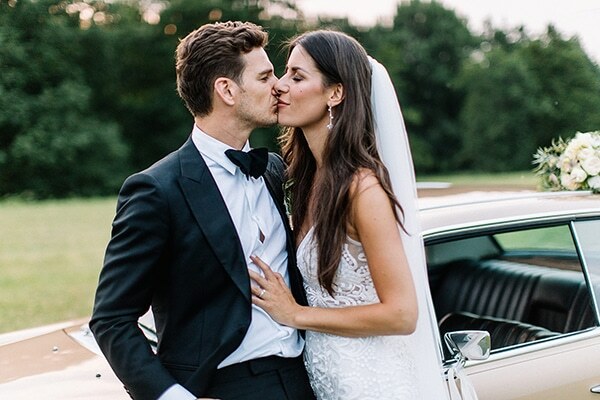 The bride looked spectacular in her mermaid style Inbal Dror wedding gown during the ceremony and later on at the reception then she was utterly radiant in her red Vera Wang wedding dress. 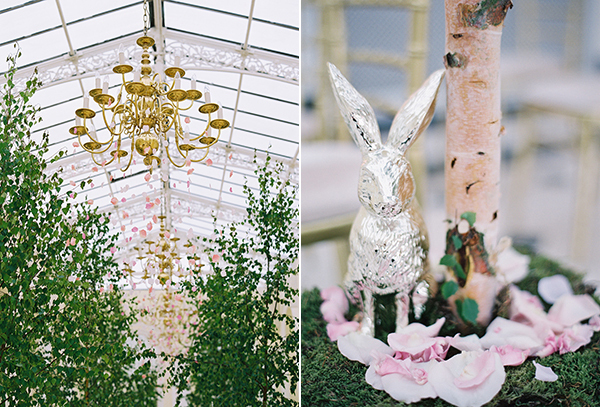 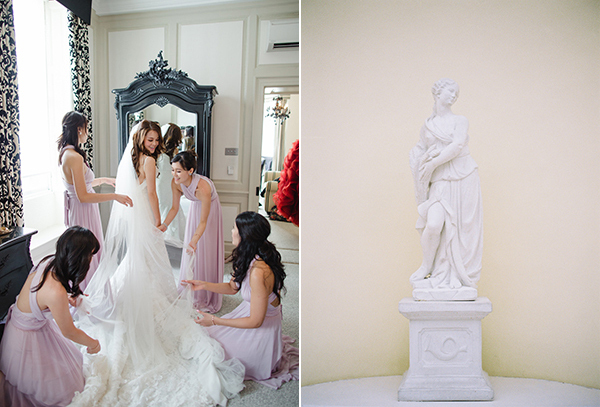 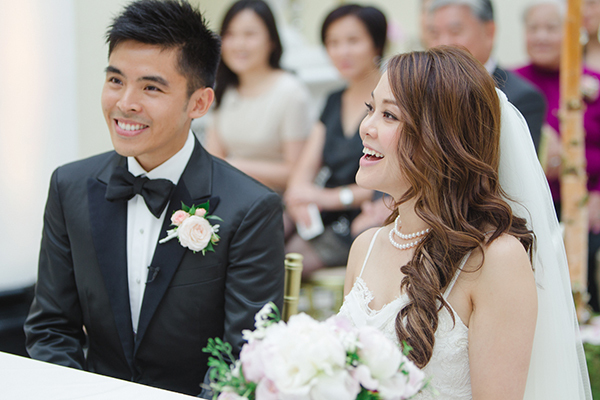 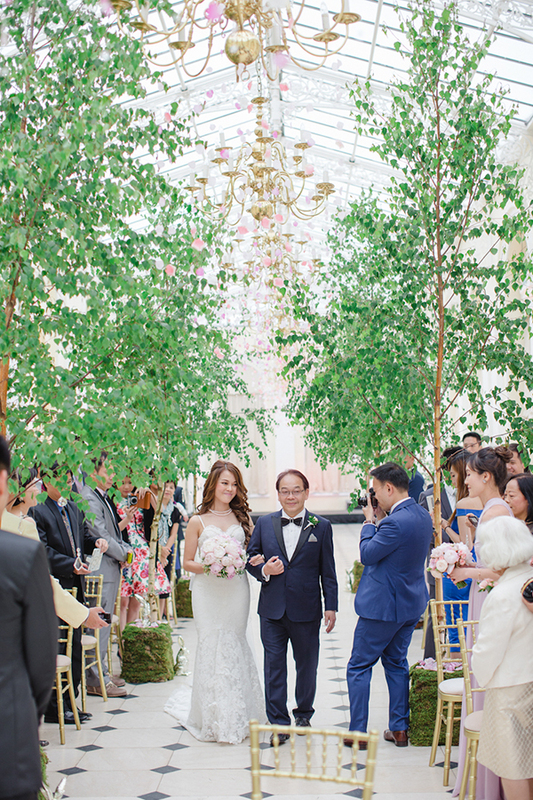 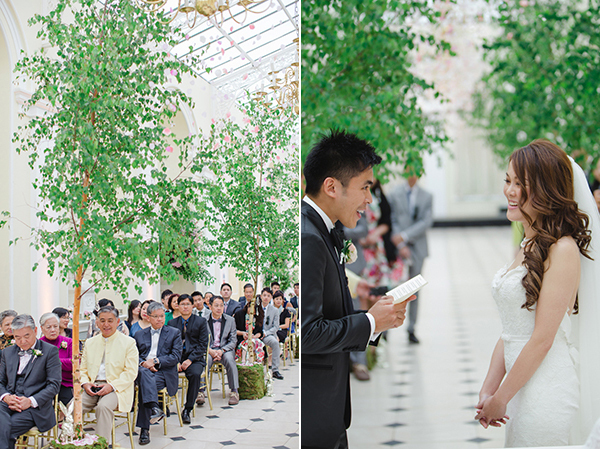 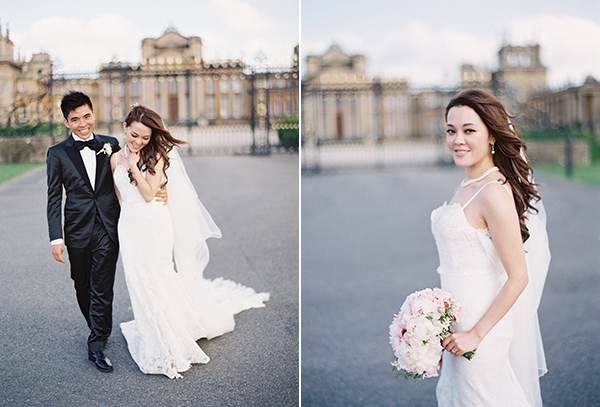 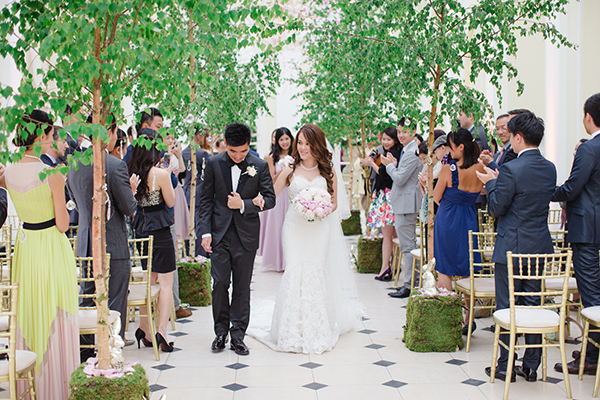 With so many details to swoon over, this is just one of those weddings you just can’t stop thinking about!